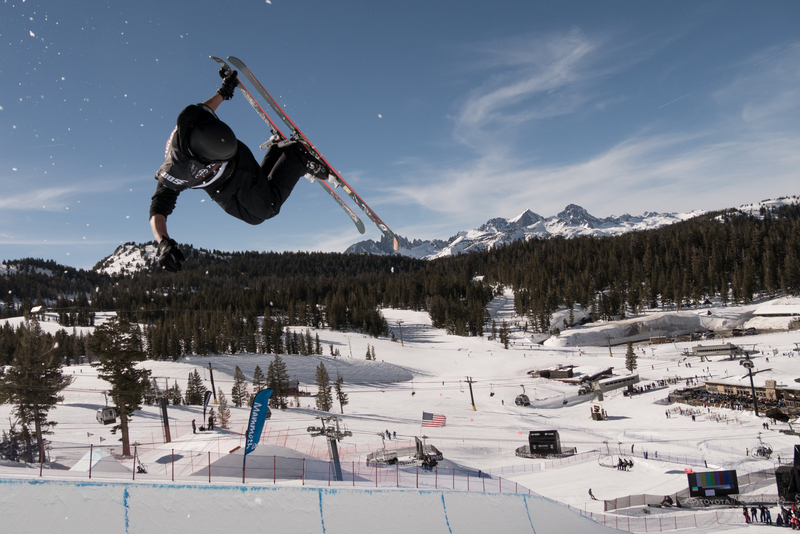 Mammoth Lakes, CA – The American men swept the top four spots in a Toyota U.S. Grand Prix halfpipe freeskiing event at Mammoth Mountain abbreviated by weather on Saturday. Torin Yater-Wallace (Basalt, Colo.) won the event, followed by Gus Kenworthy (Telluride, Colo.) in second, Taylor Seaton (Avon, Colo.) in third and Aaron Blunck (Crested Butte, Colo.) in fourth. Maddie Bowman (South Lake Tahoe, Calif.) hit the podium for the ladies with a second-place finish behind Marie Martinod, while Ayana Onozuka of Japan finished third. The competition also served as the first U.S. Olympic team qualifier for the freeskiers. Weather made an impact on the 2017 event, with snow throughout the week and high winds canceling the halfpipe final, which was scheduled to run on Saturday. Overall results were determined by the qualifying round results from Wednesday. It was a big win for Yater-Wallace, who has struggled with downtime due to illness and injury over the past few seasons and was dealing with a bruised heel through the event. The win at Mammoth was his seventh career World Cup podium, though the last one came at Copper Mountain back in 2014. His winning run included a right double cork 1260 mute followed up by a left 1080 tail, switch right 720 mute, left 900 tail and right 900 tail on his last hit for a total score of 92.33 points. France’s Kevin Rolland still sits on top of the men’s World Cup rankings with 129 points, although his advantage over his teammate Ben Valentin has now dropped to only four points. Following Saturday’s win Torin Yater-Wallace moved to third spot with 118 points after two competitions. In the ladies’ contest Martinod, the top qualifier, took her second win of the season as she strengthens her position on top of the halfpipe World Cup ranking. Martinod’s winning run from qualifications included a huge straight air tail grab followed by a back-to-back 540 safety, left and right flair safety and a left 900 safety to finish off her run with 94.00 points. In the women’s overall World Cup standing, Martinod leads the way in ladies’ field with 200 points, 75 points over second place Annalisa Drew (USA) and 90 points over Onozuka.